Maritime Communications via Satellite doesn’t require the hefty price tag once associated with this technology. Making a short phone call from the Bahamas to Florida in the early 2000’s from your boat via Satellite carried an astronomical cost. Gone are the days of having your fuel bill replicate your communications bill. Marine Satellite Internet & Communication @ Sea (Marine Satellite Phone) are absolutely one of the most vital aspects for any maritime activities offshore. Marine Electronic Installers has advanced certifications from all the major leading Satellite & Communications providers. Traditionally, installation and operation for standard satellite com antennas has been extremely sophisticated and takes quite a bit of time to set up. Intellian Global Maritime Satellite Communication Antenna Systems has developed a viewpoint to ensure a smooth, cost effective conversion to ensure connectivity while on the ocean. All sizes of boats can use the same easy to follow installation schematics resulting in better operation, less service calls, and reduced extra parts for spare inventory. Generally considered a leading pioneer for marine communication, Intellian has many successful technologies that have formed the industry standards. Their patented Global PLL (Phase Lock Loop) LNB completely terminated the necessity to laboriously change LNBs (Low Noise Block) when traversing from one global region to another. Intellian is constantly evolving to deliver a better product for the consumer. Their new v240M is a seamless automatic band switching technology which was invented by Intellian and heavily copied by everyone. KVH has just introduced their new mini-VSAT Broadband Network. Bringing the next generation of Connectivity and Content delivery to the Marine Sector. KVH was a leading pioneer for Satellite Phone communications from the inception. As the millennium came upon and the demand for internet everywhere had to be met, even in the marine industry. KVH stepped up to the plate and developed the most successful and reliable Satellite Internet communications. MEI can handle all of your Marine Electronic needs whether you have a center console boat, mega yacht, work boat, tug boat, freighter or cruise boat. Intellian and KVH are some of the most reliable communication systems available for the marine sector today. Steady around the clock hi speed internet & phone connectivity while at sea used to be just a luxury for the ultra-rich. Not only is it affordable to the masses but it has become an operational requirement when safety is paramount. 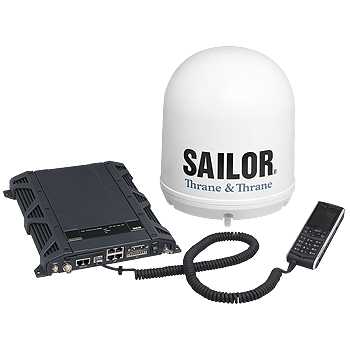 MEI also represents Sailor, Aigean, Cisco/LinkSys, Luxul, Ubiquiti, Wave Wifi for use in the marine industry. 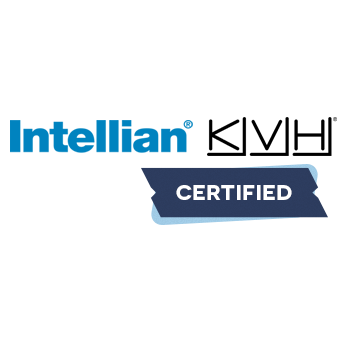 MEI is proud to be Intellian Certified and has worked closely with them for decades. They have three exciting new product ranges which will cover all of your Internet or Communication needs while at Sea. Global Xpress comes out of the box chomping at the bit bundled with Inmarsat’s exceedingly high speed broadband service. Inmarsat has very little competition in the worldwide maritime communications arena. Marine satellite communications consist of satellite phones and satellite internet for boats. 1000s of boats, ships and vessels depend on Inmarsat’s end to end resources and constant availability and coverage for operational communications and safety. With Marine Electronic Installers offering one of the widest selections of Marine Satellite Phone & Marine Satellite Internet in all of Florida. We will help you find what best suits your requirements no matter the size of your boat or budget. Maritime VSAT is a 3-Axis Satellite Communication Antenna System designed for larger ocean going vessels. VSAT (very small aperture terminal) earned a reputation for being that of an overly complicated and inconvenient technology to take on board. Most in the maritime industry made the not so wise decisions and stayed with outdated overworked technology prone to breaking down with costly repairs. 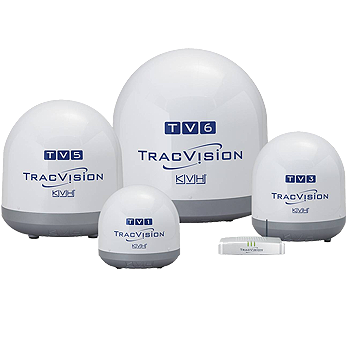 Embracing this newer more productive and cost effective technology has never been made easier with VSAT. 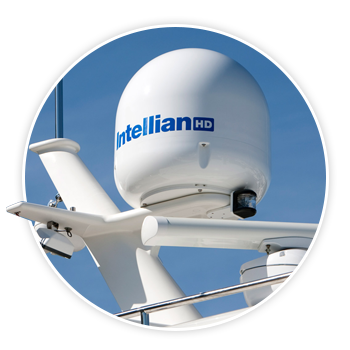 Let MEI take care of your low bandwidth issues with Intellian Marine Satellite Antennas. VSAT changed the maritime industry perception by making installation a shorter process combined with remote management, control and support. 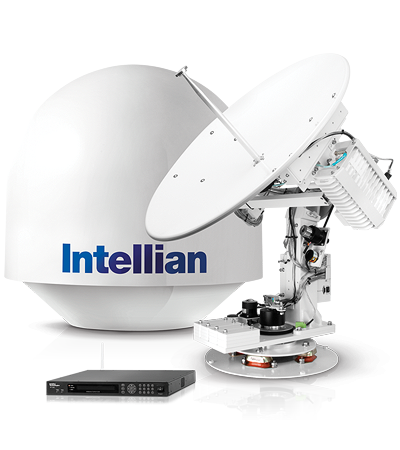 Intellian / Maritime VSAT combined to pioneer 1 of the world’s first truly worldwide LNBs or in nerd speak blazed the path in Ku- to Ka band upgrade. Fleetbroadband is a compact global worldwide communications terminal with synchronous voice and data services. FB150, FB250 and FB500 FleetBroadband Terminals were the 1rst units to proudly garner the ATC and Extended L-Band (XL) Type Approval from Inmarsat. This provides the end user the absolute bar none most cost effective channel for any type of boat, ship or vessel to communicate via phone, Internet, or fax. KVH like Intellian is constantly developing newer and better - Mobile Satellite, Guidance, and Stabilization Systems. KVH Marine Satellite Phone & Internet brings some of the fastest most economical broadband that delivers crystal clear communications. 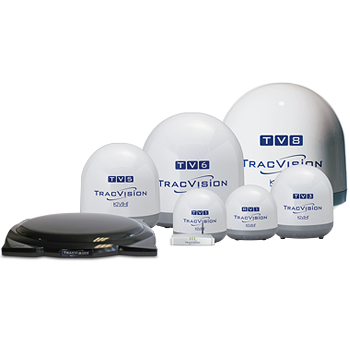 TracPhone V-IP has a series of products that work closely in tandem with the mini-VSAT broadband network. MEI will help you figure out the best combination of components to make your vessel stay connected. No matter where you are, at the dock or in a foreign port abroad - MEI will make sure you can communicate and receive flawlessly. Even if you are a DIY (Do It Yourselfer) kind of person be careful as there are a plethora of moving parts and technologies that must communicate properly. Determining which system will work best for your boat is a primary concern. KVH mini-VSAT Broadband, KVH IP-MobileCast Service, KVH Inmarsat Fleet One, KVH Inmarsat FleetBroadband, KVH Inmarsat Fleet, KVH TracPhone V11-IP, KVH TracPhone V7-IP, KVH TracPhone V3-IP, KVH TracPhone V3-IP/Iridium Pilot System Bundle. Then choosing a service provider, a proper antenna and or any below deck equipment must be determined next. Doing this requires the owner to answer a few questions to determine the threshold of service. 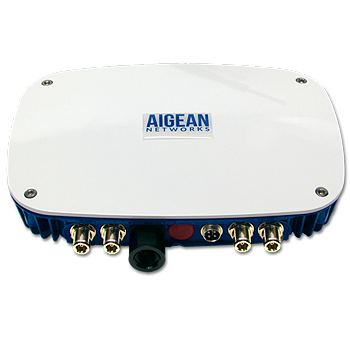 Service Coverage Area, Maximum Download Speed, Maximum Upload Speed, Billing Method, Typical Cost per Minute for Voice, Antenna Dish Diameter, Antenna Unit Diameter x Height/Weight. After these parameters have been met there a few optional services which can always be added at any time. System Option: CommBox Software, Built-in Crew Calling Gateway, IP-MobileCast Services, Iridium Pilot Secondary System, IP-MobileCast Packages & Independent Channels Available, IP-MobileCast Operations Packages Available. Give MEI a call and we can help sort out any of your communication needs.